This week’s theme includes food for your Valentine’s Day dinner, Valentine’s Day gifts and sweets, children’s educational books and activity sets, home cleaning and organizing products, and some women’s leggings. 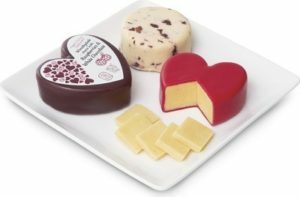 Happy Farms Preferred Valentine’s Day Cheese Assortment, $3.99 for 5.29 oz. This has been much hyped on the internet, and understandably so. Fremont Fish Market Whole Lobster, $9.99 for 18 oz. Sold frozen. Read about this and other Aldi Valentine’s Day meal ideas at this link. 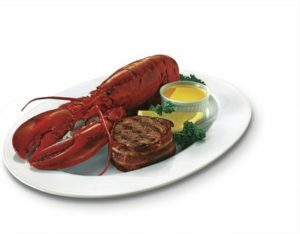 Specially Selected Lobster Mac & Cheese or Shrimp & Lobster Bake, $5.99 for 18 oz. Sold frozen. Read our reviews on both of these at this link. Specially Selected Shrimp & Crab Ravioli, $3.99 for 20 oz. Sold frozen. Read our review at this link. Specially Selected Garlic Cheese Flatbread, $2.29 for 10.2 oz. Sold frozen. Specially Selected Rosé or Chianti Wine Pasta Sauce, $2.99 for 16 oz. Bee Happy 39″ Cuddle Valentine Plush, $12.99. Assorted varieties. Bee Happy Valentine Plush, $3.99. These measure 10″–12″ H. Assorted varieties. Bee Happy 5″ Valentine Mini Plush, $0.99. Assorted varieties. Pembrook Valentine’s Day Cards, $0.99 each. Also available: Pembrook Pop-Up Valentine’s Day Cards for $1.99 each. Kids’ Valentines Stickers or Tattoos, $1.99. Crofton Valentine’s Silicone Bakeware, $3.99. Heart to Tail Valentine’s Day Dog Toy Set, $8.99 per set. Assorted varieties. I Love You… Book Assortment, $4.99. Assorted varieties. Specially Selected Chocolate Truffle Hearts, $3.49 for 5.29 oz. Specially Selected Belgian Cocoa-Dusted Truffles, $2.89 for 8.81 oz. Dove Promises Hearts, Hershey’s Valentine Kisses or Reese’s Peanut Butter Hearts, $2.95 each for 8.87–11 oz. Mars Valentine Exchange, $4.65 for 30 pieces or 16.1 oz. Benton’s Shortbread Hearts, $1.99 for 4.4 oz. Choose cherry or strawberry. Specially Selected Heart Brioche with Chocolate Chips, $4.99 for 12.34 oz. Village Bakery Hershey’s Chocolate Cheesecake Brownie Bites, $3.49 for 11.6 oz. Specially Selected Strawberry Chocolate Chip or Chocolate Mousse Cups, $2.99 for 6 oz. Frozen. Belmont Chocolate Sampler or Chocolate Covered Strawberry Cheesecake, $9.99 for 50 oz. Frozen. Barissimo Coffees of Valentines, $6.99 for 4.23 oz. Flavors include White Chocolate, Chocolate Cherry, Chocolate Cupcake, Chocolate Raspberry, Chocolate Truffle, and Caramel Chocolate. Village Bakery Valentine Frosted Sugar Cookies, $2.89 for 13.5 oz. Includes 10 cookies. Clancy’s White or Pink Chocolate Covered Valentine Pretzel Hearts, $1.99 for 7 oz. Lunch Buddies Valentine Hearts Fruit Flavored Snacks, $3.99 for 25.2 oz. Kellogg’s Valentine’s Day Rice Krispies Treats Mini Squares, $4.49 for 12.4 oz. Lik-M-Aid Fun Dip Valentine, $2.95 for 10.32 oz. Choceur Assorted Chocolates Heart Box, $3.99 for 6.35 oz. Hinkler First Steps Write-and- Wipe Sound Books, $9.99. Includes wipe-off marker for repeated practice. Ages 3+. Clever Factory Good Grades Workbook, $3.99. Available for preschool through second grade. Hinkler Craft Activity Book, $4.99. Assorted varieties. Bee Happy Learn with Me, $12.99. Interactive learning aid. Batteries included. Clever Factory 2-Pack Jumbo Wall Posters, $4.99. Assorted varieties. Clever Factory Matching Puzzle Game, $4.99. 26–30 matching puzzle sets in each variety. Cardinal 5-in-1 Wooden Puzzle Box, $4.99. Assorted varieties. Easy Home Flex Trays, $3.99. Choose a 3-pack Small, 2-pack Medium, or 1-pack Large. Available in Blue, Green, or Gray. Easy Home Bag Saver, $6.99. Holds up to 30 plastic grocery bags. Mounts to inside of cabinets and closets. Easy Home Scrubbing, Scouring, or Soap Pads, $1.29 each. Easy Home Wet and Dry Starter Kit, $7.99. This is like a Swiffer and includes 1 Floor Mop, 7 Dry Cloths, and 3 Wet Cloths. Serra Fleece-Lined Leggings, $7.99. Sizes S–XL in assorted varieties. Fresh 73% Lean Ground Beef, $1.49 per lb. Sold in a 5-lb. pkg. for $7.45. Fresh Family Pack Chicken Wings, $1.99 per lb. with 4.5-lb. avg. weight. Fresh St. Louis Style Spareribs, $1.99 per lb. Fresh Custom Made Meals Bacon-Wrapped Jalapeno Peppers, $6.49 per lb. The Chocolate Cellar Chocolate Red Wine, see price in store. Contains 750 ml. Belletti Sparkling Rose Extra Dry, see price in store. Contains 750 ml. Nature’s Nectar Sparkling Rose, $2.69 for 25.4 oz. Barissimo, Bee Happy, Belletti, Belmont, Benton's, Cardinal, Choceur, Clancy's, Clever Factory, CreativeWorks, Crofton, Dove, Easy Home, Fremont Fish Market, Happy Farms, Heart to Tail, Hinkler, Kellogg's, Lik-M-Aid, Lunch Buddies, Mars, Nature's Nectar, Pembrook, Serra, Specially Selected, The Chocolate Cellar, Village Bakery. Bookmark.